Understanding the impact that epilepsy and related conditions can have on a child or young person and their family is central to the approach of our health services team. Not only can seizures be difficult to treat, but epilepsy may cause behavioural and emotional issues, communication challenges, physical disability and have an impact on education. 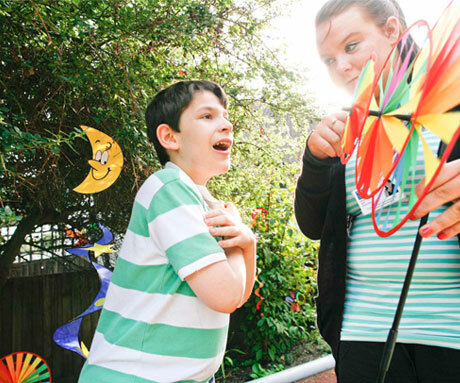 The Neville Childhood Epilepsy Centre is the only assessment and rehabilitation unit in the UK that specialises in young people with epilepsy. Our interdisciplinary team of health and education specialists offer a holistic approach to healthcare. This means that treatment and educational choices are made on the basis of detailed evaluation and an in-depth understanding of the young person’s needs. The unit’s dedicated team includes a consultant paediatric neurologist, consultant psychiatrist, clinical psychologist, physiotherapist, occupational therapist, speech and language therapist, teacher, play specialist and epilepsy nurse specialist. We work in partnership with Great Ormond Street Hospital NHS Trust (GOSH) and the Institute of Child Health at University College London (ICH). This enables us to draw on the unique expertise of professional staff from these organisations to provide a high standard of care for young people with the benefit of the latest medical research. Are you coming to the Neville Childhood Epilepsy Centre? If you and your child are coming for assessment, you may have questions about what happens when you arrive.